We are committed to help you pass your exam and earn your commercial drivers license. All students are provided with the proper training to learn basic mechanics, driving techniques and the laws that affect them as a professional truck driver. Moreover, the lessons and skills you will adhere at CDL PROS will guide and aid you as you advance in your career. 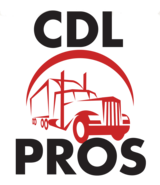 If you have any questions concerning our training program then please feel free to contact us at 816-918-5620 or email us directly at cdlpros@yahoo.com. You can also fill out the form and we will get back to you ASAP. Thanks!